Transliteration [NOT “Translation”] is typing with phonetic characters. That is, typing Tamil words using English alphabets based on their phonetic sound. 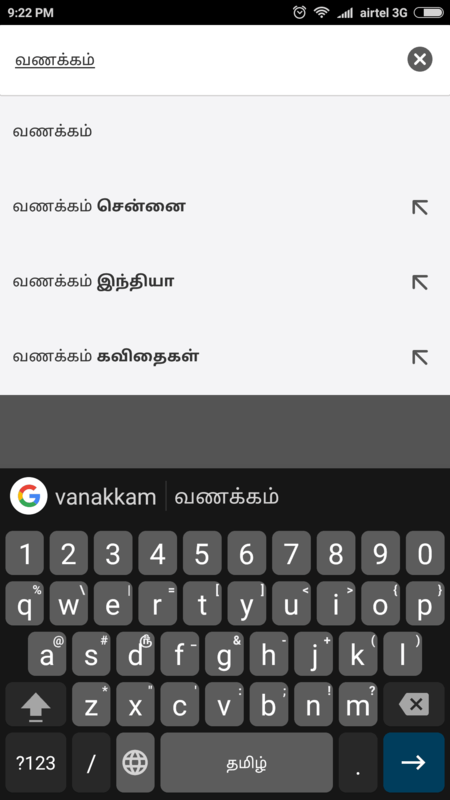 See the below picture, “vanakkam” is turned into a Tamil word ??????? . Now you can transliterate easily in Android phones. 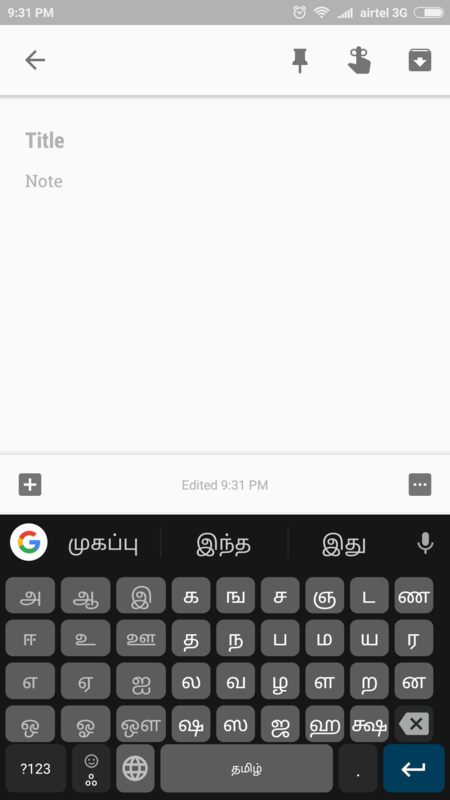 SwiftKey and Gboard (Google’s Keyboard for Android) now supports this transliteration. To enable this, download the language package in the keyboard app’s settings. Both are good in different ways. Here is the smallÂ lookup on both keyboards. 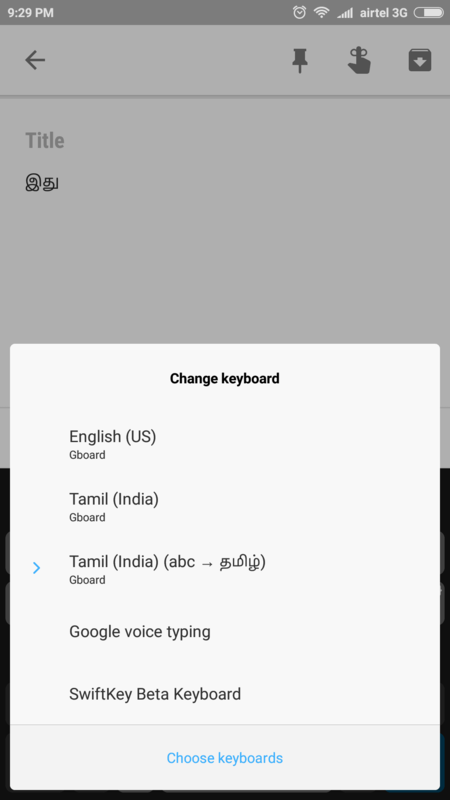 Offers two different keyboards for typing in Tamil, you have to download both from language settings. 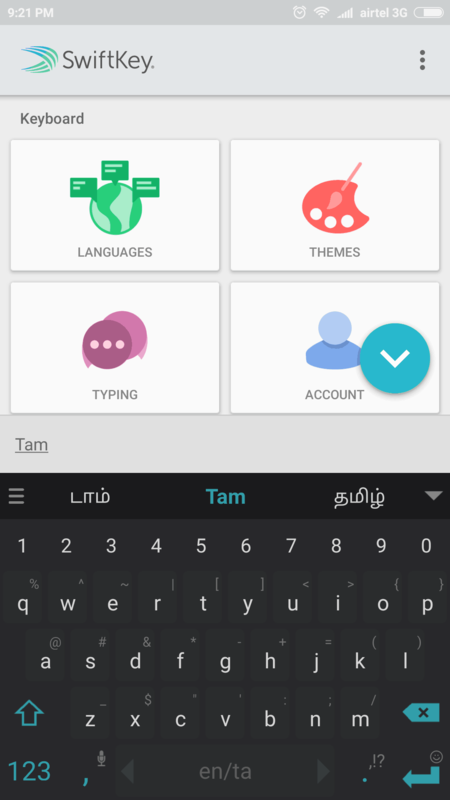 There is two different ‘Tamil’ keyboard, one is for Transliteration from English to Tamil and another is with Tamil characters/script. Pro: Fast, Transliterate in text space, Tamil words prediction is good. 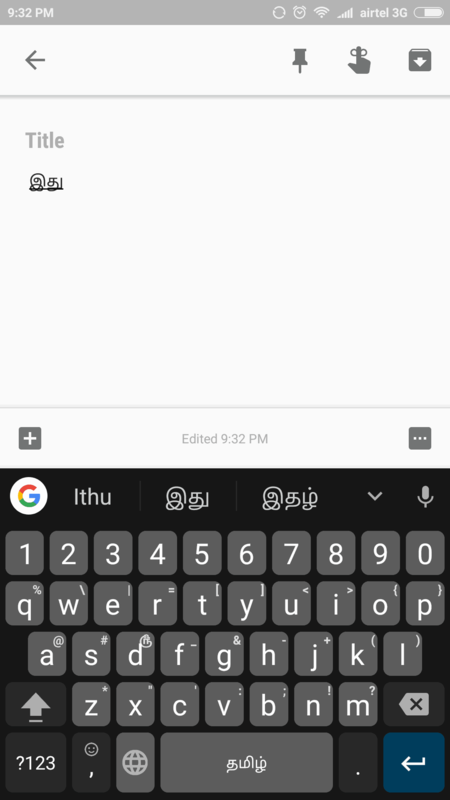 Cons: Tamil script layout is alphabetical (see below pictures), Need to switch keyboard to type in English and Tamil. Top performing keyboard since it was in business. Improved a lot recently and added support for Indian languages. Customizable Keyboard with plenty of themes and excels in prediction after learning from your typing. Swiping the spacebar on the keyboard switches between languages. 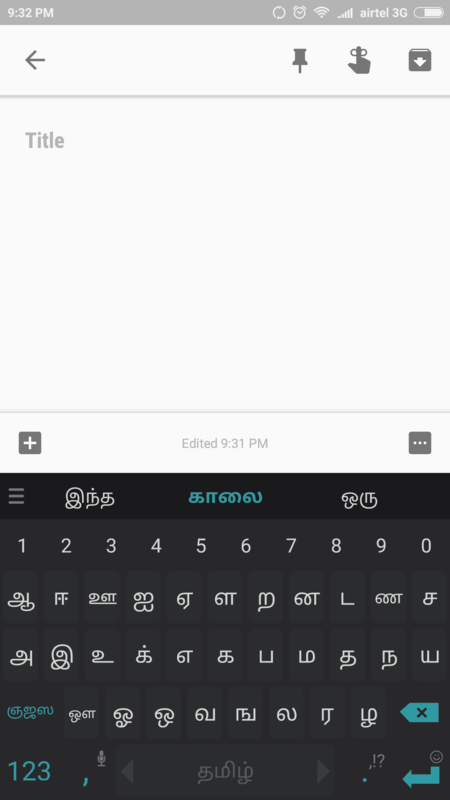 Pros: Great prediction (the more you use, the more accurate the prediction is), faster, supports multi lingual (yes, it predicts words from both Tamil and English at the same time), QWERTY Tamil layout. Cons: Lacks Google’s search inside the keyboard, transliterate the word only after completing the word.